Bienvenue sur la page d'assistance du Gigaset QuickSync - Windows Version. Au sein de cette rubrique, vous trouverez des répons plues aux questions less fréquentes. Des manuels utilisateurs, ainsi que des logiciels et micrologiciels à télécharger. Vous trouverez également des tutoriels vidéos, qui vous aideront dans vos installations. Dans le cas d'un produit défectueux, vous pouvez enregistrer votre Gigaset QuickSync - Windows Version afin qu'il soit réparé. De plus, vous trouverez des accessoires pour votre Gigaset QuickSync - Windows Version. Si vous souhaitez vérifier avec quels produits votre Gigaset QuickSync - Windows Version est compatible, retrouvez l'intégralité de la liste ci-dessous. Enfin, vous pouvez également comprendre apprendre comment enregistrer votre Gigaset QuickSync - Windows Version avec d'autres périphériques. How can I update the software from my handset? To enable your handset to communicate with the PC, the Gigaset QuickSync program must be installed on your PC (free to download at https://www.gigaset.com/hq/en/cms/PageQuickSync.html). The firmware-update of handsets is only supported by Gigaset QuickSync for Windows. The Gigaset QuickSync for MacOS supports only the firmware-update of the SL910H. Please make sure that you use the USB cable to connect the handset that you want to update, as updating via Bluetooth is not supported! If your handset is updatable and your PC is connected to the Internet, Gigaset QuickSync will automatically check for new firmware at least once a day, and if it is available it will prompt you to update your handset. You may disable this feature by unchecking the “Check Internet for new firmware and notify if update is available." checkbutton on the Settings - Firmware... page. It can also be disabled via the appropriate checkbox when Gigaset QuickSync prompts you to update your handset. Connect your phone to your PC using a USB data cable. Start the Gigaset QuickSync program on your PC. Establish a connection to your handset. Click in the main menu of QuickSync on Firmware update. This launches the firmware update. The update process can take up to 10 minutes (not including the download time). Do not interrupt the process or remove the USB data cable. The data is initially loaded from the update server on the Internet. The amount of time this takes is dependent on the speed of your Internet connection. The display on your phone is switched off and the message key and the talk key start flashing. Once the update is complete, your phone will automatically restart. Which PC applications are supported by Gigaset QuickSync to synchronize contacts? Which Gigaset products are supported by the current QuickSync software? Handsets with Latin (European), Cyrillic, Greek and Turkish scripts are supported. It is not possible to connect to handsets supporting Hebrew and Arabic scripts. Does Gigaset QuickSync support MS Outlook 64-bit versions? Microsoft itself recommends to use the 32-bit version of MS Office for their 64-bit bases operating systems, as it is more compatible with most other applications, especially third-party add-ins. Until further notice and based on this recommendation, we decided not to provide a Gigaset QuickSync version, that would be compatible with Office/Outlook 64-bit. The 32-bit MS Office package, which also belongs MS Outlook (32-bit), works without any problems with the current version of Gigaset QuickSync for Microsoft 64-bit operating systems. This version can be downloaded here. Which Gigaset handsets supports a firmware update via Gigaset QuickSync? Does Gigaset QuickSync support MS Outlook 2016? Yes, the Gigaset QuickSync also supports MS Outlook 2016(32 bit version). Which Gigasets are compatible with Telephony Mode? PC or laptop compatible with supported operating system. One of the supported Gigaset handsets, see Supported handsets . The Picture Editor does not pop up, when I upload a picture to the handset. Why? To use the Picture Editor it is neccessary that the option "Manually choose part of picture" is activated in the Settings - Picture tab of the Gigaset QuickSync. With this configuration the Picture Editor pops up as each picture is uploaded. The preview may vary from the real view, depending on the handset. You will find further and detailed information, e.g. about the image and audio file formats, in the Help of Gigaset QuickSync. The Ringtone Editor does not pop up, when I upload a picture to the handset. Why? To use the Ringtone Editor it is neccessary that the option "Manually choose part of audio file" is activated in the Settings - Audio tab of the Gigaset QuickSync. Why I can´t connect via Bluetooth? The software requires a resource from the Windows operating system. Providing this resource can be blocked by a virus scanner.The GQS it can not influence. To make a Bluetooth connection, please turn off a short time the Antivirus / Firewall. Does the Gigaset Quick Sync Software support Windows® 10? Yes. The current version Gigaset Quick Sync supports Windows® Vista (32bit and 64bit), Windows® 7 (32bit and 64bit), Windows® 8 and 8.1 (32bit and 64bit) and Windows® 10 (32bit and 64bit). What can I do if the handsfree key and the message key are flashing at the handset? Disconnect USB cable from the phone. Hold down key "4" and "6" on the numeric pad. Release key "4" and "6" (phone is blinking alternately). Please refer to your phone’s user guide for more information about the emergency mode and a detailed description about how to hold the phone during this procedure. If Gigaset QuickSync detects a phone that is in emergency mode it prompts you to start the firmware update process. This feature cannot be disabled. The Gigaset SL910H phone does not have Emergency Mode - it is always ready to start in ordinary mode. Start firmware update procedure again. Updating via Bluetooth is not supported. Please connect the phone you want to update using the USB cable. A valid Internet connection is required to allow checking for new firmware and updating of your phones. Gigaset QuickSync will inform you that there is no valid Internet connection. If you have more than one phone to be updated Gigaset QuickSync will only download the firmware from the Internet once. After the new firmware is downloaded from the Internet and the update process has started you cannot cancel the process, initiate another operation or close the application. Do not disconnect your device from the PC for any reason. Do not turn off your PC, or activate hibernate or stand-by modes. If you are using a laptop or netbook, please ensure your PC is powered up with a power supply. Be patient, the update will take up to 10 minutes (without download time). The phone will disconnect and connect several times. Do not interrupt this procedure. What can I do if the update from the handset was interrupted? Put the battery back in (phone is blinking). How can I synchronize contacts with my Google account? The PC contacts tab in Settings defines the methods Gigaset QuickSync uses for synchronizing contacts. Click the Settings icon on the toolbar. Then click the PC contacts tab. All the changes are saved automatically. For Synchronization with the Google account select the option Google Contacts in the PC contacts list. The use of this contact source requires a Google Account and Internet access. Click the "Allow access" button to authorize Gigaset QuickSync to access Google Contacts. Then enter your login data in the "Google Account" window and allow access on Google Contacts by clicking the corresponding button. Your Google Account credentials are not stored by Gigaset QuickSync. The application will access Google Contacts only until you revoke access. Other Google Account data are not available for Gigaset QuickSync. By default, the contacts from your phone are synchronized with the newly created Google Contact Group "Gigaset". Mark contacts from other Contact Groups as members of the "Gigaset" group in order to synchronize these contacts with your phone. You may also change the group which is used for synchronization. To do this, select another folder in the Folder list. 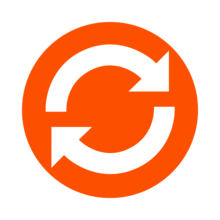 You can revoke the Gigaset QuickSync access to Google Contacts. To do this, click the "Revoke access" button. What could be the reason, if phone numbers will not syncronize correctly? To convert the phone number with the handset during synchronisation, the area number must be correctly entered in the Gigaset QuickSync as well in the handset. The Area codes tab in the Settings of QuickSync allows you to set your current location area codes. International area code: These settings are used for international numbers. Please enter the international access code, e.g. 00 in the UK, in the left field. Please enter country area code, e.g. 44 for the UK, in the right field. Local area code: These settings are used for long distance numbers. Please enter the long distance access code, e.g. 0 in the UK, in the left field. Please enter local regional area code, e.g. 20 for London, in the right field. Why I can not select the installed MS Outlook in the Gigaset QuickSync for syncronizing contacts? Please check if the installed MS Outlook is defined as standard email program. Open Start – Settings – Control Panel - Internetoptions and choose on the tab „Programs“ the MS Outlook resp MS Office Outlook for Email and Contacts. Why I cannot choose my Outlook Contact folder in Gigaset QuickSync? Why are new contacts not added automatically from the handset to the computer contacts resp. from the computer contacts to the handset? The "Automatically add new PC contacts to handset" check box offers the option of automatically adding new contacts on the computer to the handset contacts. If it is checked, new contacts added to the computer database are automatically added to the handset. If it is not checked, they are not added. The "Automatically add new handset contacts to PC" check box offers the option of automatically adding new contacts on the handset to the computer contacts. If it is checked, new contacts added to the handset directory are automatically added to the computer database. If it is not checked, they are not added. How can I completely de-install Gigaset QuickSync? 1. De-install the Gigaset QuickSync Software via Start – Control panel - Programs and Features. 2. Rename the folder from „Gigaset_Communications_Gm“ in „Gigaset_Communications_Gm_old” or delete the folder. 3. Reinstall the latest version of Gigaset QuickSync. Please choose the installation mode “Completely” during the installation. I get an error message. What does it mean and how can I solve the problem? Why I always get an error message, if I try to initiate an outgoing call with Outlook? Gigaset QuickSync has to be installed properly. Telephony Mode has to be activated in the Gigaset Quick Sync. The telephone number in Outlook must have the format "+Country Code (Area Code) #######." Windows Telephony service has to be installed and enabled. This is the default setting in Windows. Open the Contacts folder in Outlook . Click New call in the Actions >> Call Contanct menu. Click Dialling options in the New call dialogue. In the Connect using line tab, select the Gigaset QuickSync line. Confirm your entry with " OK ". Close the New call dialogue. Further and comprehensive information you will also find in the Help of the Gigaset QuickSync. How can I use the Telephony Mode of the Gigaset QuickSync and what is to be noted? The “Dial options” of your contact application needs to be properly configured to use the Gigaset QuickSync line. Instructions on how to set up supported applications can be found below. Select a handset profile in the main window and establish the connection to the handset. Start the Telephony Mode in the main window of the application. Gigaset QuickSync will try to start Telephony Mode . If the handset cannot be accessed or prerequisites have not been met, the appropriate error message appears. If successful, the Gigaset QuickSync tray icon will change. When Telephony Mode is enabled, it is impossible to synchronise contacts or explore the handset's content using Gigaset QuickSync. Gigaset QuickSync does not connect the speech path itself so the actual conversation cannot be heard using the computer speakers. Outlook 2003 - Microsoft Outlook 2003, available only when it is installed. Outlook 2007 - Microsoft Outlook 2007, available only when it is installed. Outlook 2010(32bit) - Microsoft Outlook 2010(32bit), available only when it is installed. Windows Contacts - available only on Windows Vista and Windows 7. If there is an attempt to initiate an outgoing call when Gigaset QuickSync is not running, the call will fail and Gigaset QuickSync will start automatically, prompting the user to enable Telephony Mode. Please note that the number is converted before dialling using the dialling rules of the operating system. The telephone number must have the format "+Country Code (Area Code) #######." Refer to the operating system manual on how to configure the dialling rules. Click New call in the Actions >> Call Contact menu. Select the contact you want to call. Click the telephone number in the Actions >> Call contact menu. Click Call... in the New call dialogue. - Click New call in the Actions >> Call Contanct menu. - Click Open contact in the New call dialogue. - Double-click the telephone number. - Confirm the Check phone number dialogue with " OK ". Click on Start >> Run in the Start menu. Enter dialer.exe in the Open field and confirm with " OK ". The Windows Dialler application will start. Select Tools >> Connect Using... option in the main menu. Ensure that Gigaset QuickSync is selected in Line field. Ensure that " 1 " is selected in the Address field. Confirm the choice with " OK ". Open the Windows Contacts application. Right click on the contact to be called. Select Action >> Call This Contact... from the context menu. Click the " Call... " button in the New call dialogue in order to start the call. To answer incoming calls, Gigaset QuickSync should be running and Telephony Mode enabled. When these requirements are met, a popup window appears in the lower right-hand corner of the screen when there is an incoming call. This window shows caller information if available and allows the user to answer or reject the call. Some features, like call rejection, depend on the fixed line. For example, call rejection does not work on analogue lines but it does work on ISDN lines. Which media files can I exchange between the handsets and a PC via Handset explorer? The Gigaset QuickSync allows you to exchange media files between your handsets and a PC via Handset explorer and " Send to ". Ring tones - Polyphonic files. Screensavers - Image files. They will be used as full screen pictures for the handset screensaver. Caller pictures - Image files. They will be used as caller pictures on the handset. The handset has a limited set of permitted characters (for details please refer to the handset’s user guide). If the file on your PC has a name that contains characters not included in this set, the characters may be converted to other similar characters supported by handset, if possible. Only audio files without Digital Rights Management (DRM) are supported.